I ordered this pillow for a baby nursery in the denim color and wasn't disappointed. It is great quality at a great price. I highly recommend and would definitely order another! Made of half linen and half cotton, this ruffled pillow is just the mood-enhancing accent you've been looking for. With its fun coloration and contemporary design, this pillow brings the earthy feel to any setting. 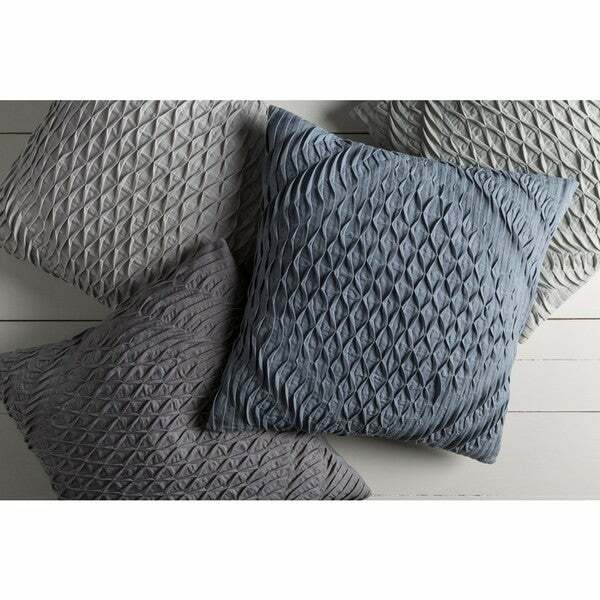 great color, soft fabric and looks great on my bed as an accent pillow! Cute pillows. I hope they bring life to my couch! "Is there a zipper opening to remove the pillow insert?" We do not have this item listed as having a zipper, however the insert is removable.